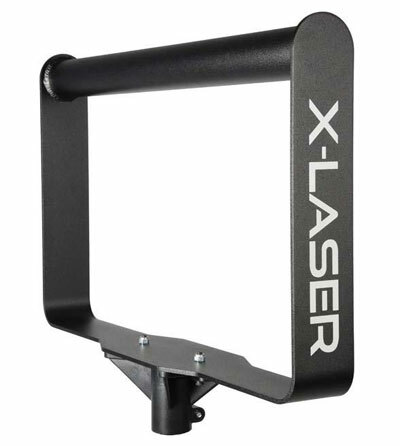 The X-Laser Mobile Mount is a quick, portable and efficient mounting solution built for all types of mobile and semi-permanent install applications. Quickly and easily attach the Mobile Mount to any standard tripod, or 40mm mount with absolutely no trussing required. 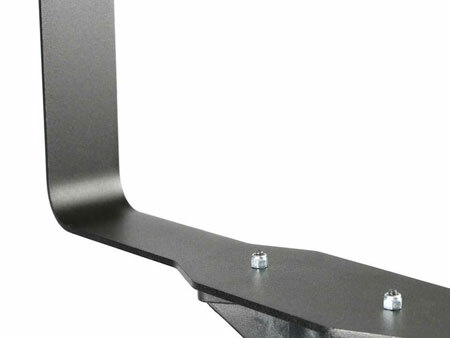 Once attached, simply mount your fixtures to the Mobile Mount with standard O or C clamps for secure attachment. 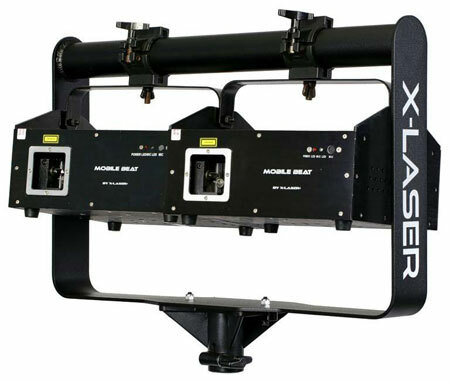 Each X-Laser Mobile Mount is large enough two smaller lasers such as Calientes or Mobile Beats, one larger laser except for current Definat models, two medium sized LED effects, or an endless variety of other lighting fixtures and hardware up to a combined weight of 60lbs. Please observe all safety notices before using the Mobile Mount. Lasers not included. No more truss, no more fuss! Leave that extra truss at home! 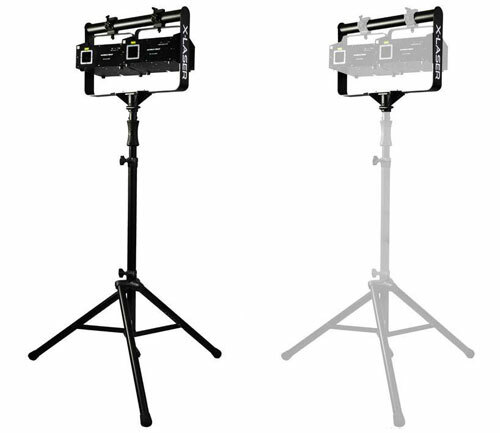 The brand new Mobile Mount is designed to attach at the top of any standard lighting tree or speaker stand for quick and easy mounting solutions. Mount multiple fixtures at once! 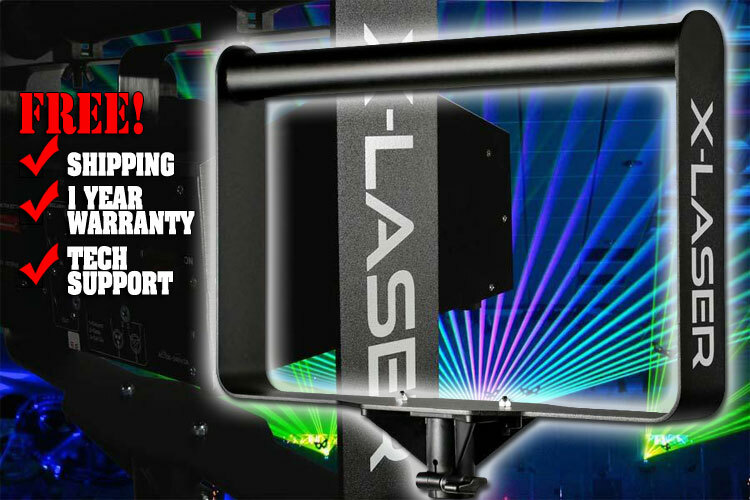 Each Mobile Mount holds up to two X-Lasers and can be positioned virtually anywhere you can have a tripod for the ultimate portable laser show that packs neatly right behind your diver's seat. Built tough for every situation! 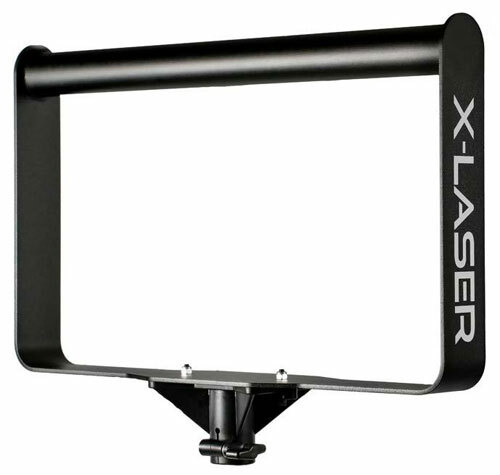 Made from industrial aircraft-grade aluminum, and power-coated black, the Mobile Mount has a rugged exterior and is ready for the road.